What could be better than stunning walks in the Cotswold countryside punctuated with a well deserved local ale, meal or a cosy bed for the night? 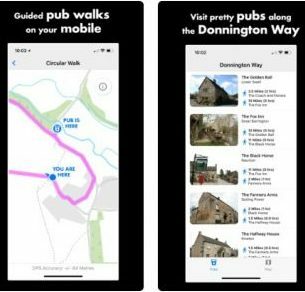 To help you enjoy these great experiences, Donnington Brewery have created a free pub walks guide for Android and Apple devices. Choose from a range of walks to suit your timescale and ability: shorter circular walks, or for the more adventurous, why not walk the Donnington way stopping off at pub to pub along your journey? To download their free app just search for ‘Donnington Way Pub Walks’ in the app store.